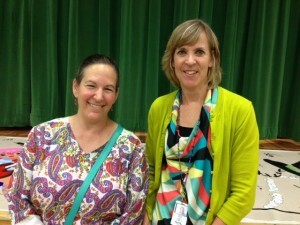 Several months ago, author and speaker extraordinaire Alexis O’Neill spoke to our local SCBWI (Society of Children’s Book Writers and Illustrators) group about school visits. She emphasized that a school visit is not an opportunity for an author to preen or read from his/her work, but to add value to the students’ experience, to “improve their lives.” In other words, the visit is not about the author, but about the audience. This has been easy for me to do when I speak about Gringolandia. I can talk about living through that historical period, working with exiles from Chile and musicians who performed underground inside the country, interviewing former political prisoners and their families, what it is like to live under a dictatorship, and witnessing the extraordinary peaceful transition to democracy in 1989-1990. 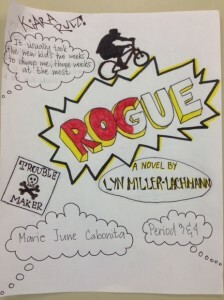 Rogue is more challenging because it is based on my personal story. And it’s the story of a teenager with a disability/difference that makes it difficult for her to connect to others and make friends. Although many schools feature assemblies where inspirational speakers talk about their past problems — usually dealing with substance abuse — and how they overcame those problems, I don’t want my school visits to be “all about me.” I want to add value to the lives of my audience. 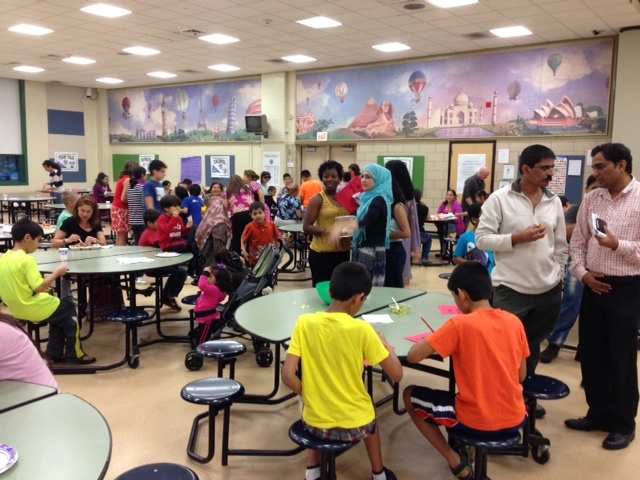 The annual Multicultural Dinner brings students, staff, and families together. I have yet to speak to a group of teens on the autism spectrum, though, and in fact have done very little speaking in schools about Rogue. 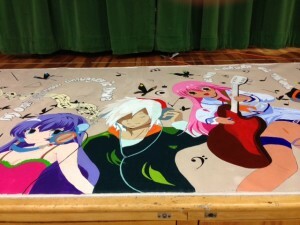 (I describe my first school appearance about Rogue here.) However, my friend Karen Lapuk, who invited me to Manchester (CT) High School several years ago to talk to her ELL (English Language Learners) class about Gringolandia and who worked with me to develop the “Bundle of Letters” activity, asked me to present on Rogue to six ELL classes at the high school and Illing Middle School. 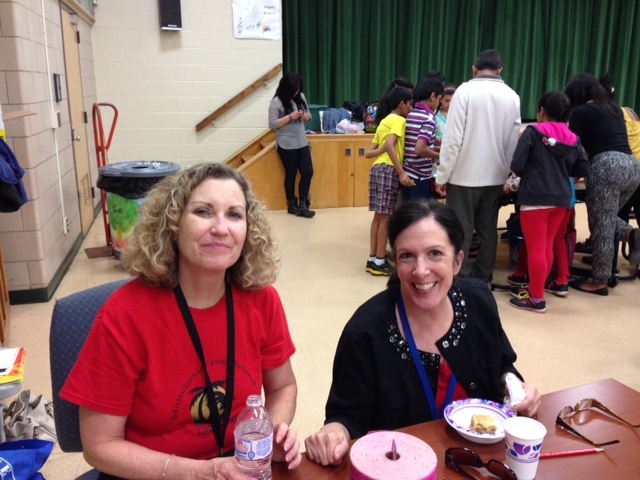 Teachers Karen Lapuk (left) and Susan Parra at the Multicultural Dinner. Over the course of two days, I got to know a wonderful group of students and teachers. 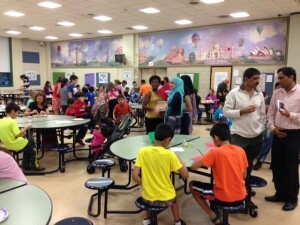 The classes included newcomers who had just started to learn and speak English, four intermediate classes ranging in age from seventh graders to juniors, one senior class with students at various stages of English proficiency, and several students who had exited the ELL program. One student, Katia, heard my presentation on Gringolandia as a freshman and as a senior has become an impressive writer in her own right. 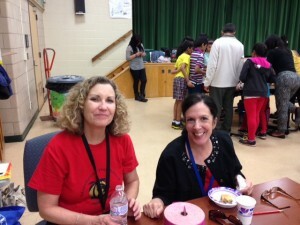 Teachers Colleen Kubinski (left) and Anne Gardiner at the Multicultural Dinner. Since all of the students have recently been the New Kid and perhaps struggled to connect with others and make friends because of their not knowing English, I decided to ask them to advise Kiara on how to get New Kids to like her — and, conversely, how she can be more successful at making friends if she moves away and becomes the New Kid herself. From the newcomer class that I met first, at 7:30 in the morning, onward, the students had insightful advice — and, interestingly, not the same advice from class to class. Most of them agreed on what she was doing wrong: she was boring, only talked about her interests and didn’t get to know the other kids, she was weird, and she stood out as different. Manchester High School student Taliya with the mural she designed. While the younger students urged Kiara to listen to the other students and observe them in order to learn how to fit in, the older students thought she should try to stop copying others and be proud of who she is. Their teachers — Colleen Kubinski, Mellie Crespo, and Karen — remarked on the cognitive and developmental differences that lead young teens to want to find their place within the crowd and older teens to seek their unique identities. At the same time, students in all the classes wanted Kiara to make better friends, not only kids who didn’t get into trouble like Chad but also kids who would treat her with respect and accept her differences. Listening to others instead of only talking about herself was a solid first step in helping her make better choices of friends. The middle section of the mural-in-progress, displayed at the Multicultural Dinner. In this way, the students’ advice resembled Alexis O’Neill’s advice to writers not to talk about themselves and their achievements but to think of what their audience needs. And here’s where I wanted to add to their experience. All of the students have been on the outside — as the New Kid in a place where the other kids seemed to have their friends already (one boy said that when he came “nobody helped him,” which kind of upset his teacher, but I think he meant to say no peers reached out to him), as someone struggling with a language others spoke with ease, as someone from a culture others saw as “different.” But being new, being different, being on the outside has given these students an advantage. They are the best people to advise someone like Kiara. 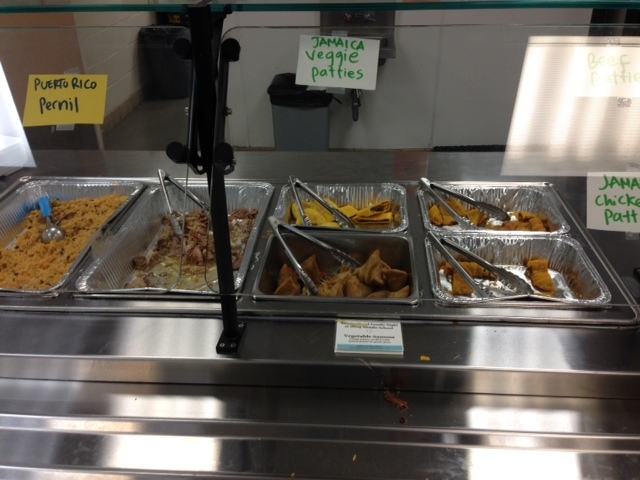 Eating delicious food is one advantage of getting to know people from different places and cultures. 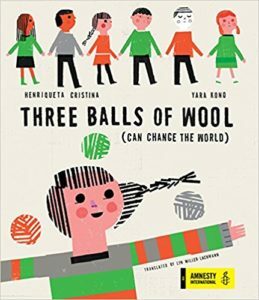 Kiara believes that she, like the X-Men, may be on the outside of society, but she has a special power that can help society. I hope that my activity with the ELL students of Manchester High School and Illing Middle School helps them to see that they too have special powers — abilities that their monolingual peers, who have never had to move across oceans and continents during their teenage years, do not have. Following my presentations, I had the pleasure of joining the staff, students, and families of the district at the annual multicultural dinner. I enjoyed the food and conversation and had the opportunity to sign postcards for the students who attended my presentations. 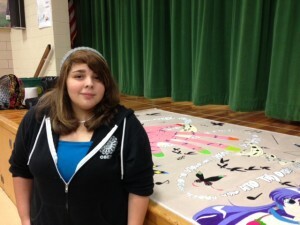 Several of the photos are from a banner designed by the talented Manchester High School student Taliya. 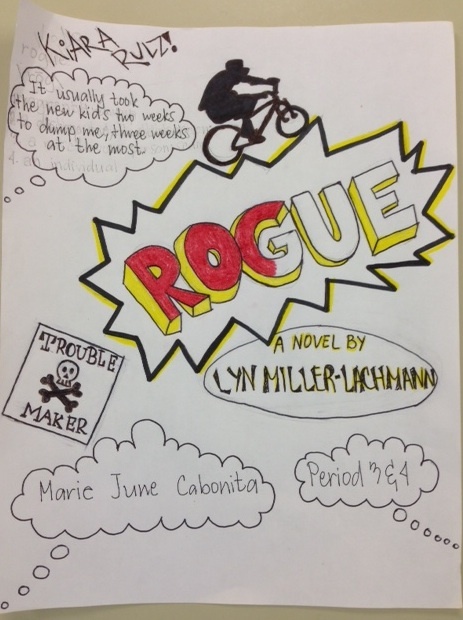 Also included is a lovely drawing by middle schooler Marie June from the Philippines, inspired by the cover of Rogue. 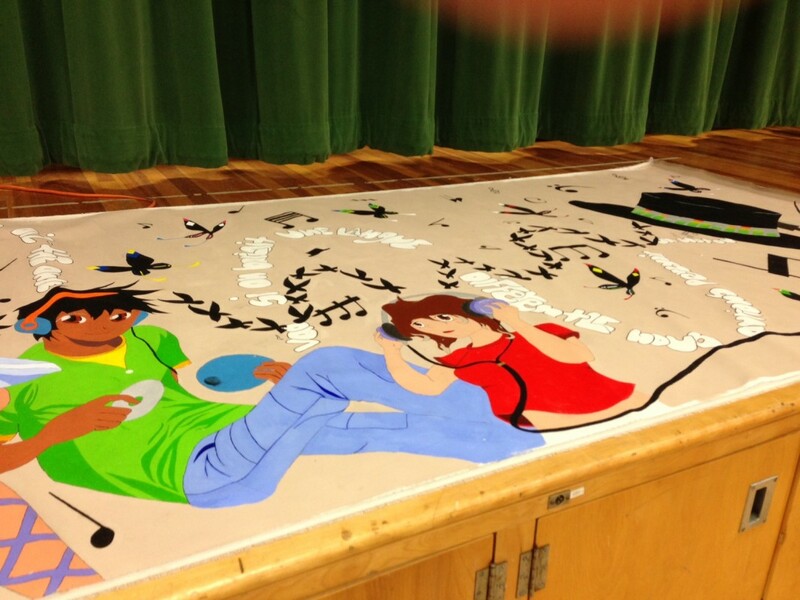 The final section of the mural, which includes words in multiple languages and flags and iconic images from around the world. I thank all of the students and teachers in the ELL program at Manchester High School and Illing Middle School for welcoming me, and Rogue, to be part of their learning experience. I especially thank Karen Lapuk for organizing my visit and Colleen Kubinski for hosting me at her lovely home for three nights. When Herman, my husband, was a child and an outsider in a school in Brooklyn, the teacher seated him near a boy about the same age. The other boy “took him in hand” —showed him the local ice cream parlor,etc. They became best friends for all the rest of their lives. This year they even died within weeks of each other. Two very special people found each other this way. What a beautiful story, Ruth! I hope some of the students I met in Manchester have found lifelong friends like Herman and Shelly. And I know they’re back together now. I’m glad you had the opportunity to speak to the students, Lyn, and to hear their advice for Kiara. I hope you’ll have more opportunities for school visits. What a beautiful mural! Taliya is very talented. I really like doing school visits, so I also hope more come my way. I’m still getting ones for Gringolandia, mainly community colleges and four-year colleges. And most of the ones I have are places where I’ve spoken before, so they must like what I do. Wow–the kids in the ELL program at Manchester High School and Illing Middle School are so smart, so thoughtful. And I absolutely love Alexis O’Neill’s emphasis that visits should be designed to add value to the students’ experience. A fabulous post, Lyn. I hope you get to see one of Alexis O’Neill’s workshops for SCBWI because she gave excellent advice. Although she focused on picture books and speaking to younger students, her points were valuable for presentations to any age.